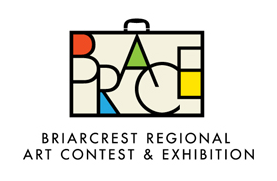 The Briarcrest Regional Art Contest & Exhibition's mission is to provide a venue for regional art teachers to display their students’ artwork and provide incentives for higher quality craftsmanship, thereby, encouraging young artists and connecting the local visual arts community. Nearly 50 schools submitted over 300 excellent works of drawing, painting, collaging and much more to BRACE 2016. The BRACE committee is looking forward to exhibiting even greater numbers of student art that encourages the richness of visual learning. We are grateful for the overwhelming support and responsiveness of the visual arts educators of the Mid-South.